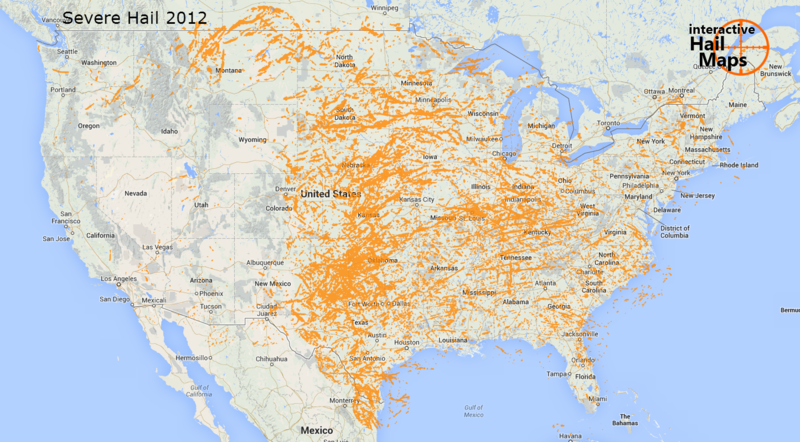 Clearly, 2012 was a much better hail season for hail restoration professionals when compared to 2013. We put all severe hail, 1.25 ” and larger, on comparison maps to give you a clear picture of just how slow the 2013 hail season really was. 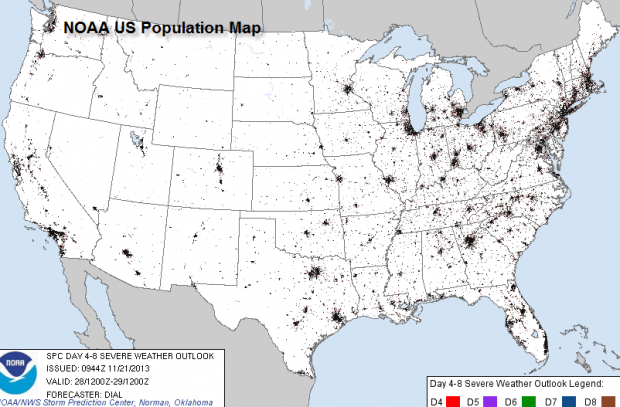 (click on the map for a larger view) According to this NOAA population map, most of the us population is concentrated in the eastern United States. Although large cities like Atlanta, and Minneapolis took direct hits in 2013, most of the populated regions were left out. 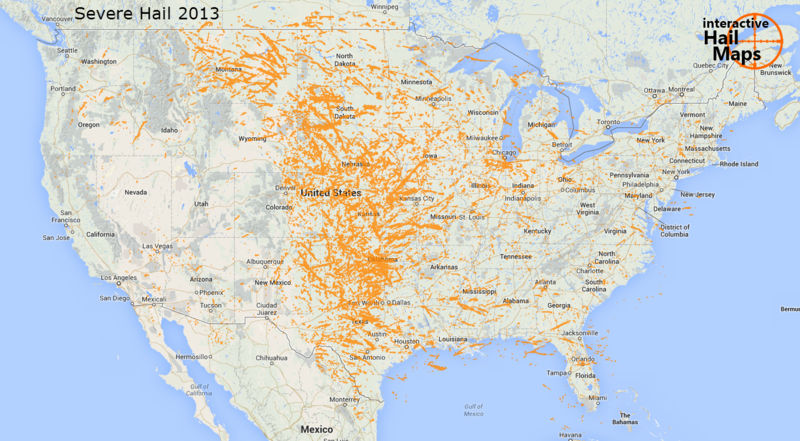 With a little luck, the hail storms will shift eastward and everyone to have a prosperous 2014! Don’t go it alone in 2014 – We’ll help you find all the hail, no matter how good or bad the hail season turns out to be.